Pete Grelle, a member of the Beverly, Mass. Cardinals from 1969 to 1974, submitted this photo and caption. 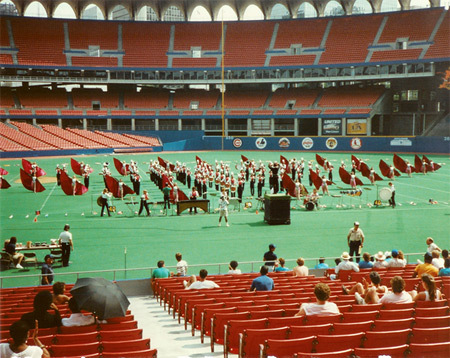 Living in the area at the time, I took this photo of Dutch Boy at the 1987 DCI Midwest Prelims at Busch Memorial Stadium in St. Louis, Mo.